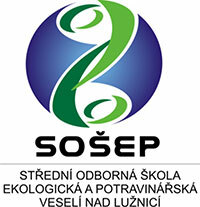 The school microbrewery of the Secondary School of Environmental and Food in Veselí nad Lužnicí is used practical training of students studying the Food Technology program. The brewery was founded in 2011. It produces a wide range of unique student beers from traditional Czech raw ingredients. It brews only in small batches. Traditional, classic Czech beers, wheat beers, non-alcoholic, flavored, and specials. The most commonly brewed beers are Blatský light lager, dark (12°), Blatský light švihák (14°), and Blatské non-alcoholic Pohoda. Tastings are available during the school’s Open House Days, during the annual Veselí festivities, during the exhibition Education and Craft in České Budějovice, and during school presentation events. On weekdays 9 am to 3 pm. Annual brewing classes and beer tastings, special evening tasting courses.